After a few years of setting in with the support of the tour operator A.L.I., in 2013 Addiopizzo Travel has become a cooperative, and it has now obtained recognition as tour operator. Several news regarding the world of Addiopizzo Travel have been introduced during the press conference held at the presence of journalists and authorities. In particular, there has been the launch of the new website and of the smartphone app that will allow tourists to book the pizzo-free accommodations and the holiday packages for the summer 2014. Finally, the first results of the project “Sicily Pizzo-free”, supported by the Program “Sensi Contemporanei” promoted by the Department for the Development and the Economic Cohesion and by the Department of Tourism of the Sicilian Region, have been presented at the presence of the Assessor to Tourism Michela Stancheris. The project, still in progress, envisages the conception, realization and commercialization of two different tours: a cycling tour, already on the market and acquired by a Norwegian tour operator, and another tour concerning places that became famous because of movies or literature. 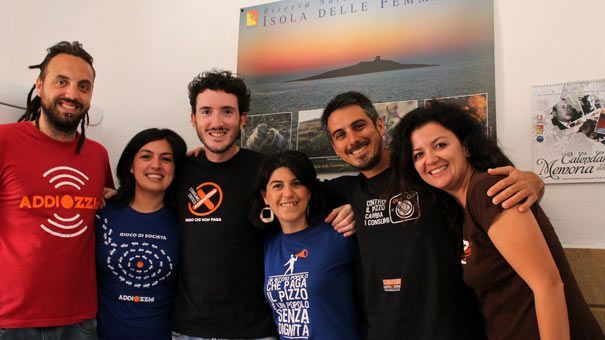 This project has allowed a few young people to become main characters in being entrepreneurs in Sicily: to this day, in fact, six people under 40 are effectively involved in the activities of Addiopizzo Travel. And there is reason to believe that their number will increase in the near future.